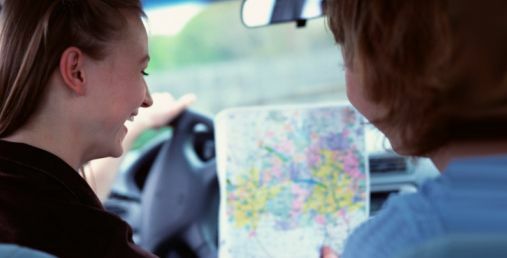 Whether you are a teen who’s following the family as they relocate to a new state, or you are a learner permit holder who had to move because of work or any other reason, transferring DMV-mandated documents is something to take care of soon after you relocate. One of the first things to do as a new resident is to locate the nearest DMV office. In some states, you can make an appointment online, so see if your new state offers this service. Keep in mind, that depending on the state and/or your situation, you may be required to retake the written test. If you completed drivers ed, be prepared to provide proof. Depending on the policies of your new state, you may be asked to retake a drivers education class . This is because different states have different driving education requirements that may not correlate with your former state. Check with your local DMV office for exact specifics. Proof of driver education or driver training completion. In addition, have payment for permit fees and arrive with a parent or guardian. Save yourself time and call the DMV before you head out. Ask about exact documents and fees, payment methods, and other requirements. Have you ever had to switch your learners permit from one state to another? How easy or difficult was the process for you?